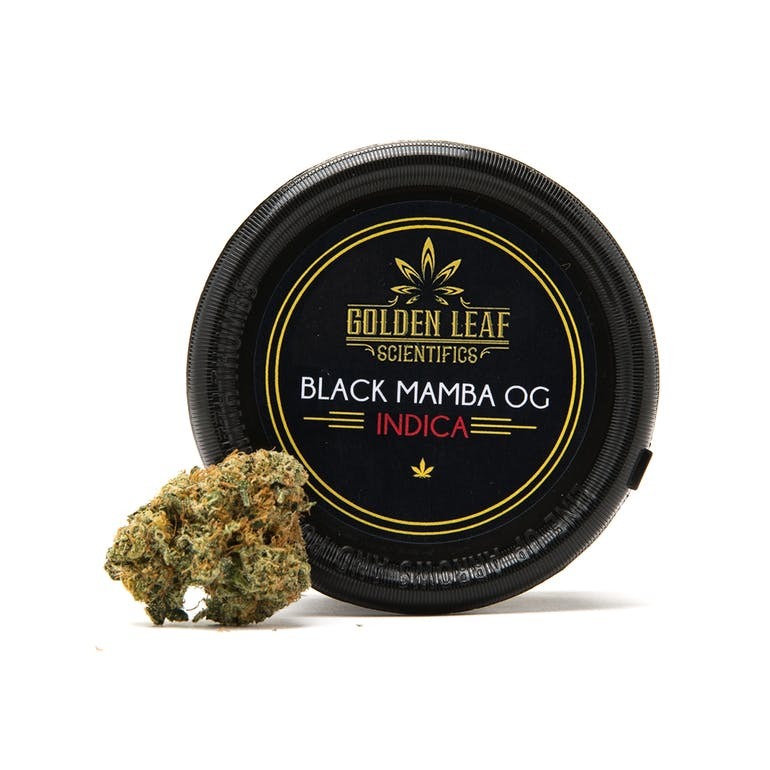 Golden Leaf Scientific is pleased to offer Black Mamba OG, a strain that upholds the legacy of two power-packed strains. This Indica-dominant Hybrid derives from Granddaddy Purple and Black Domina, and produce layers of vibrant violet leaves embedded in a sea of dark green. The long-lasting effects will twist up the body and leave it pleasantly sedated. I cant wait to try more of your menu.........I'm sold!!! Perfect right before bed and has a great OG smell!